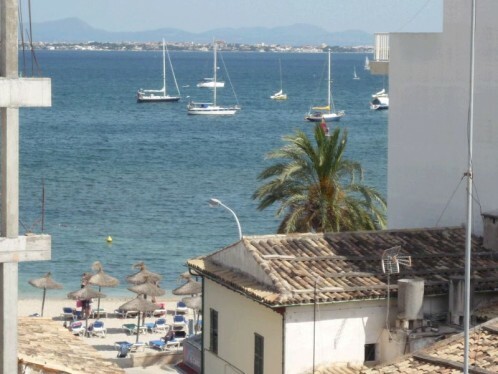 In second line to the sea and with views towards the marina and the beach, you find this apartment for sale on the 4th floor. One floor up, you have more panoramic views from the communal roof terrace. In the property there are three double bedrooms, two bathrooms (one showerrroom en suite), and a large living room with dining area and adjoining, equipped kitchen. There is a laundry room as well. 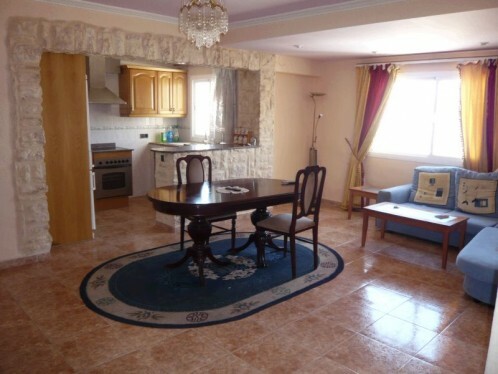 The apartment has been completely renovated and enjoys air con throughout. This spacious property is only a few steps away from the beach.